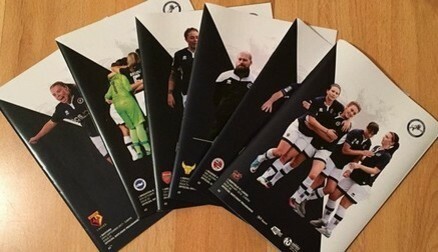 The side from North London ran out 8-0 winners on Sunday and Millwall will be determined to make sure things change this weekend as they host a Charlton side that has already beaten Millwall this season, 4-2 in the continental cup. 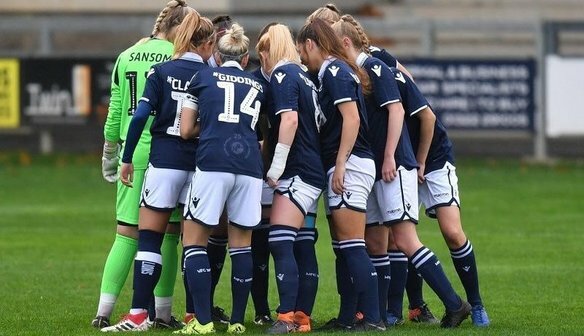 It was the newly formed Millwall team's first competitive game so a lot has changed since that game in late August and goals from Evie Clarke and Gabby Ravenscroft actually saw the side lead for a period of the game. The side have come along way since then and bar last weeks performance have constantly been growing and performing better each week, something they will be looking to take into Sundays game. With Spurs the only side in the league with a perfect record after their opening four league games, they will look to make it five when they host Millwall on Sunday. 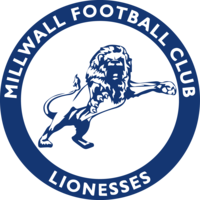 Millwall will need no introduction to former Lionesses Rianna Dean and Megan Wynne - both were influential in the Lionesses successful season last year and both seemed to have settled into the North London side very well. The pair are scoring goals and continuing their impressive performances from last season. Rianna was Millwall's top scorer last season and looks this season to fire Spurs to the top of the league in only her second season in professional football. Annie Rossiter and Lia Cataldo returned from international duty on Wednesday and now are available for selection ahead of Sunday's game. Chris stated in his post-match interview against Leicester that the side missed the duo and would have used them off the bench if they were avaliable. The two will add more depth to the squad and can allow Chris to utilise his full squad more effectively. One player who will look to continue her recent impressive performances is midfielder, Beth Lumsden. After her superb free kick that flew into the top corner, Beth will be hoping to get on the score sheet again as Millwall look to cause an upset. The side have been working hard to change their fortunes this season, but have fallen just short of the hurdle on a couple of occasions. With this arguably their hardest league of the season so far, Millwall will need to find their rhythm and play how they have in spells in games to ensure they come away from North London with some points. After a truly magnificent goal against Leicester, Beth Lumsden will be looking to add to that when the Lionesses go again at home against Charlton. Formerly of Arsenal, Beth is a physical player who likes to get stuck in and the midfielder also has some flair about her and can hit a ball well. If recent performances are anything to go by, Beth has certainly been give Chris a reason for her name to be on the team sheet Sunday. One of many players that joined from Arsenal, Beth has showed her quality and why she had been at the WSL club. Her quality on the ball and the ability to pick a pass out of nowhere makes her a real asset to the side and with the experience of Georgie Giddings alongside her, the youngster is only going to improve. With their side still in search of their first league win, can Millwall turn to Beth to drive them to it on Sunday against Charlton? Her first goal for the club will surely give her an added boost and extra motivation to now go on and help the side push up the table. They come into this game having already beaten the Lionesses once this season, It was however in the WSL cup when the addicks ran out 4-2 winners on a cold rainy day at VCD athletic. Gabby Ravenscroft and Evie Clarke got the goals but Charlton showed their class in the second half to fight back from 2-1 down to claim the win. They now make the trip to Dartford in search of another league win, A south London Derby always brings a more exciting game and this one should be no different.